Okay, okay. I get it – you want to get more done in less time. I’ve been blogging full-time for the last five years and I spend 10 hrs/day on average at my workspace. Let me be honest: working online is NOT always fun. The internet is full of distractions. As someone who is no less susceptible to distractions than you, I’ve struggled a lot to find effective productivity tips over the last couple of years. The good news is I’ve learnt five killer ones along the way, and I’m ready to share. 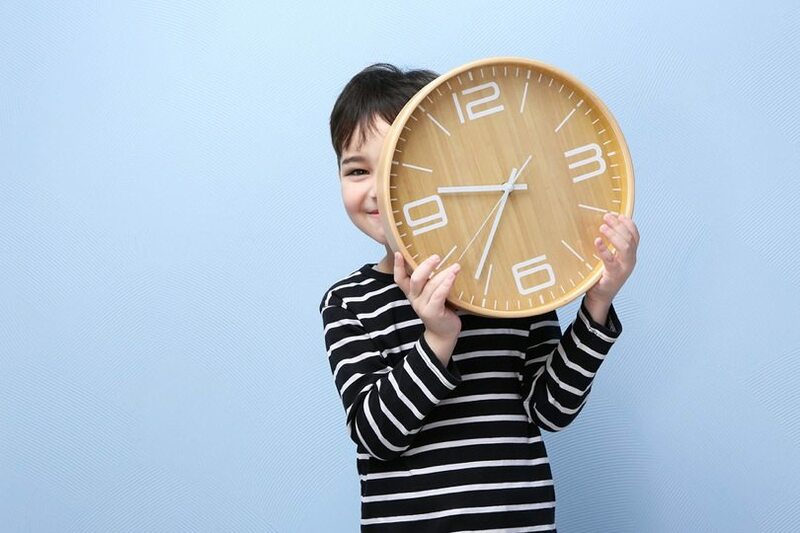 If you’re someone who’s looking to get more things done in less time, this post is for you. You’ll discover five of the best time-saving hacks that you can use to boost your productivity almost instantly. Curious? Let’s jump right in. How much can you accomplish in two minutes, you might wonder? Well, the surprising answer is quite a LOT! Did you know that 9 out of 10 people never finish their daily to-do lists because they include a lot of mundane tasks? That’s why you need a failsafe system to tackle your to-do list the right way, and that’s where the 2-minute rule comes into play. The 2-minute rule helps you get rid of a ton of unimportant things from your to-do list so you can focus your time on finishing the most important ones. If something can be done in two minutes, just do it. If something takes more than two minutes, then start it. Let’s talk about the two parts in detail so you can understand just how effective it is. Part 1: If something can be done in two minutes, just do it. Basically, if a task takes less than two minutes of your time, do it right away. Don’t add it to your to-do list. Don’t put it aside for later. Don’t delegate it to someone else. Tasks that spring to mind that fit this profile: answer an email, retweet winning content, come up with a few blog ideas, and send an update to a colleague. There are a ton of tiny, seemingly trivial tasks that take less than two minutes yet need to be done EVERY DAY. Ticking them off will help you build and maintain momentum in your workday. Never underestimate the sense of accomplishment that comes with just getting things done. Adopting the 2-minute principle will help you manage your daily to-do lists more effectively by micro-managing unimportant tasks. Part 2: If something takes more than two minutes, then start it. I hear you. But have you heard of Newton’s first law of motion: an object at rest stays at rest and an object in motion stays in motion? Once you take an action on any 2-minute task, you will feel better equipped to work on even bigger tasks because of the sense of momentum you’ve built. That’s the reason why the 2-minute rule is so effective. Want to write a 1000 words every day? Write 50 words in the next two minutes. Want to meditate for 20 minutes a day? Go to Calm.com and meditate for two minutes. Want to exercise for one hour a day? Do jumping jacks for just two minutes. You get the idea. Once you start taking immediate action on your goals by using the 2-minute rule, you are bound to move onto bigger tasks. The precedent is set. Once you start acting on small tasks, you can keep the ball rolling. 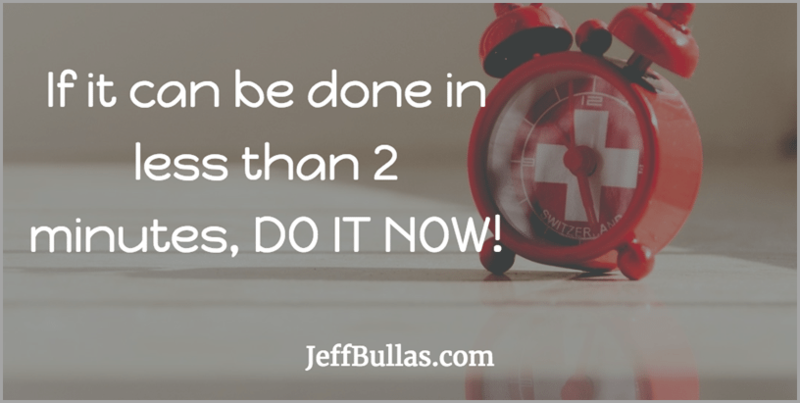 Read this article by James Clear in which he succinctly explains how you can use the 2-minute rule to beat procrastination if you’re still not convinced. #2. Get a standing desk to increase your productivity by almost 50%! I know, I know, it sounds crazy. But if you get a standing desk, your day will go quicker and you may be better able to concentrate on your work. A recent study by Texas A&M University found that employees who used standing desks were a whopping 46% more productive than those with traditional seated desk configurations. Without a doubt, standing desks have become the mark of a hip office, but FF Venture Capital has found that standing actually leads to more actively sharing ideas. Some prominent individuals like Thomas Jefferson worked at standing desks every day of their lives. You will become more productive, i.e., you’ll stop checking your inbox every few minutes. 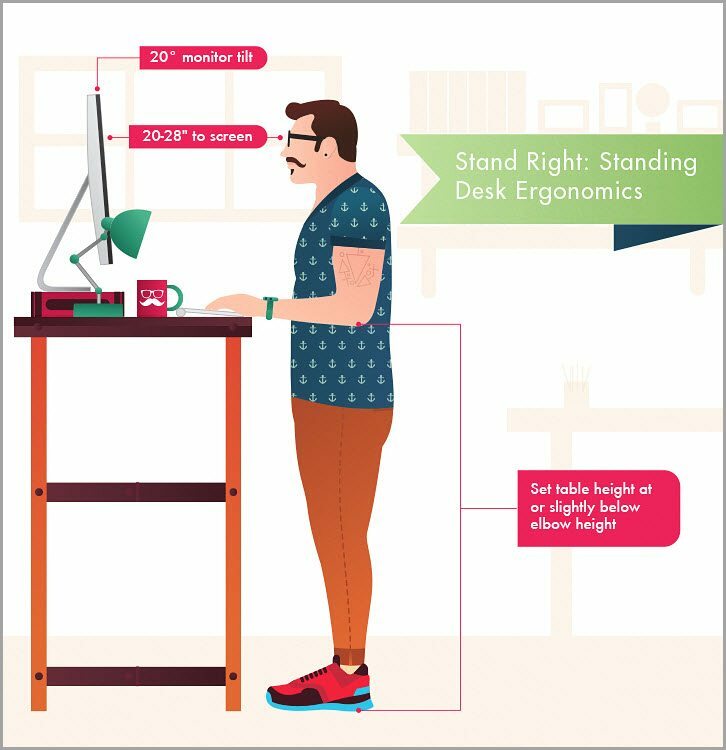 You’ll burn more calories – a standing desk activates the major muscle groups in your legs. You’ll enhance your sense of focus because when standing, it’s normal to feel a sense of urgency which in turn makes you more focused on the timely completion of tasks. You’ll improve your digestive health and actually experience decreased fatigue because you won’t slouch over at your desk. Standing desks effectively eliminate the urge to multitask and flip between websites, email and other distractions so they’re definitely worth a try if you’re keen to boost your productivity. Here are a few additional tips for standing desk newbies. Start small. Instead of working for two hrs straight from a standing desk straight away, start in small cycles. Use it for 15 minutes a day, then slowly increase your time until you feel so good at it that you can spend all day there. Use sites like Pinterest to come up with a ton of creative ideas about how best to set it up or even make one yourself. Take breaks. Go for a short walk, practice squat or grab a cup of coffee to avoid fatigue or stiffness. If you’re really curious about how to set up a standing desk properly, this article by Yaro Starak goes into great detail. Are you struggling to write blog posts quickly? Do you often edit your own work while writing? Editing while writing is one of the biggest time suckers out there. Being a perfectionist is a surefire way to get burned out when writing. The simplest way to avoid the habit of editing while you write is as follows: turn off your monitor. You don’t need any special tools to turn off your laptop or PC monitor. Just decrease your screen brightness (to zero). Works like a charm on a Mac. Alternatively, hang a paper or dish towel over your screen. Why? Because you don’t need to see the screen to write provided you have access to the keyboard. But what about all the typos and grammatical errors, you may ask? Well, you can always edit your content later! Most great writers draft their content first, edit later. You’ll find that writing without looking at the words as they flash up on your monitor is liberating and means you get a ton more ideas down without second-guessing them. No online notifications or email alerts. Less temptation to use online tools like thesauruses or dictionaries! So what are you waiting for? Give it a try, at least once. It’s hard in the beginning not being able to see the words appear on your screen. But once you get the hang of it, it enables you to write more freely and intuitively. I use this technique whenever I want to finish an article quickly. You’ve heard that it takes 21 days to build any habit, right? It actually takes 18 to 254 days to build a habit. Consistency is the key to forming any habit. The majority of people fail at building life-changing habits because of one reason: they start strong, but give up early. Here’s where a proven productivity hack by Jerry Seinfeld comes in handy. Yep, it’s commonly known as the ‘Don’t Break The Chain’ hack, and the concept couldn’t be simpler. In an article on Lifehacker, Brad Isaac reveals how Jerry explained it to him. “He revealed a unique calendar system he uses to pressure himself to write. Here’s how it works. The ‘Don’t Break The Chain’ hack works because it helps you become more consistent with your most important skill or talent. If you’ve been running a business for a while, you already know how important it is to be consistent. So here’s how to get started with it. Step 1: Find your ONE thing. Do you want to master SEO? Do want to become a superb programmer? Or do you want to be a stand-up comedian, like Jerry himself? Figure it out. Don’t skip this step. 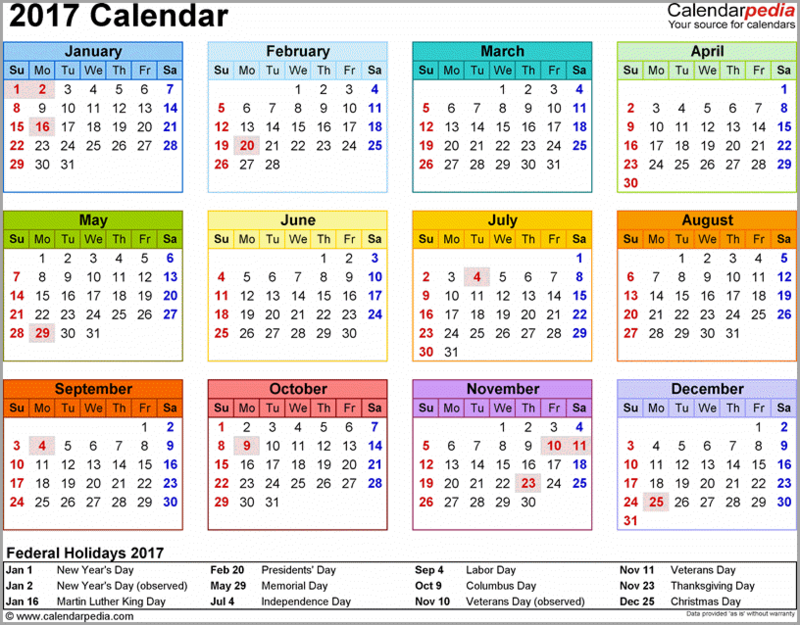 Step 2: Hang a huge annual calendar at your workspace, office or home. Step 3: Put a big X across each day when you devote time to working on your one thing. This creates a chain of X’s showing your progress. Focus on growing your chain longer and longer. Your only job is NOT to break the chain. The number one dumb mistake that most people make while working on their goals or projects is this: they try to do too many things at once, rather than taking a small first step. You don’t have to see the whole staircase to make a little headway towards it. Take baby steps if you want to get things done. Avoid dreaming about the big goal. Focus on small and fast wins. That’s how you achieve your goals over time. For example, let’s say you want to become a self-published author. A typical book consists of 300 pages. That means you need to write 75,000+ words (taking 250 words per page as average). Instead of thinking about the end goal, focus on writing your first 100 words TODAY. Write another 1000 words by next week. Make it a habit of writing 500 words every day using the Seinfeld productivity hack listed above and within five months, you’ll hit your goal of writing a 300+ page book. That’s the magic of focusing on small and fast wins. I’ll end up this post by leaving you with a beautiful quote by Marc Levy, the founding director of Right Lane Consulting and a man whom I greatly admire. 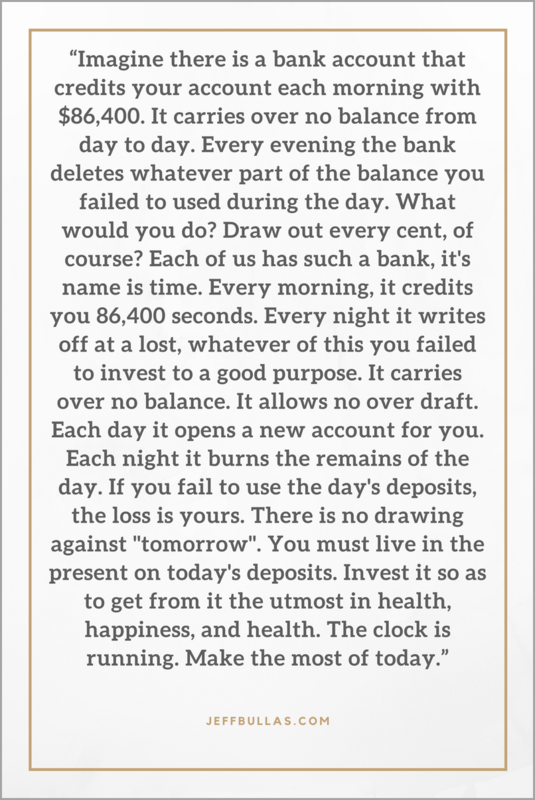 Remember to treat time like money if you want to lead a productive life. Focus on your next step and keep moving forward. So what are your thoughts on productivity tips? Do you have any more hacks to boost productivity? Share your thoughts with me in the comments below! Guest Author: Rahul Kuntala is a computer science graduate turned full-time blogger since 2012. He’s a retired Ironman and keeps a blog where he shares simplified SEO strategies. Follow him on Twitter.